How were the children of the world in 2013? 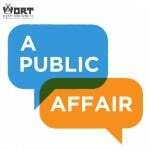 On this edition of A Public Affair we reflected on the status of the world’s children as we approach 2014. On Monday December 30th, our host John Quinlan was joined by Caryl Stern, president/CEO of the US Fund for UNICEF and author of “I Believe in Zero: Learning from the World’s Children”, to explore the stories about the world’s children in 2013. The most important points that Stern and Quinlan discussed from “I Believe in Zero”, were the lessons Stern learned from children over five continents, her observations on the grounded as well as her own experiences as a parent. As 2013 comes to a close, we can all hope that with a new year, we can create a world where children can thrive and grow.